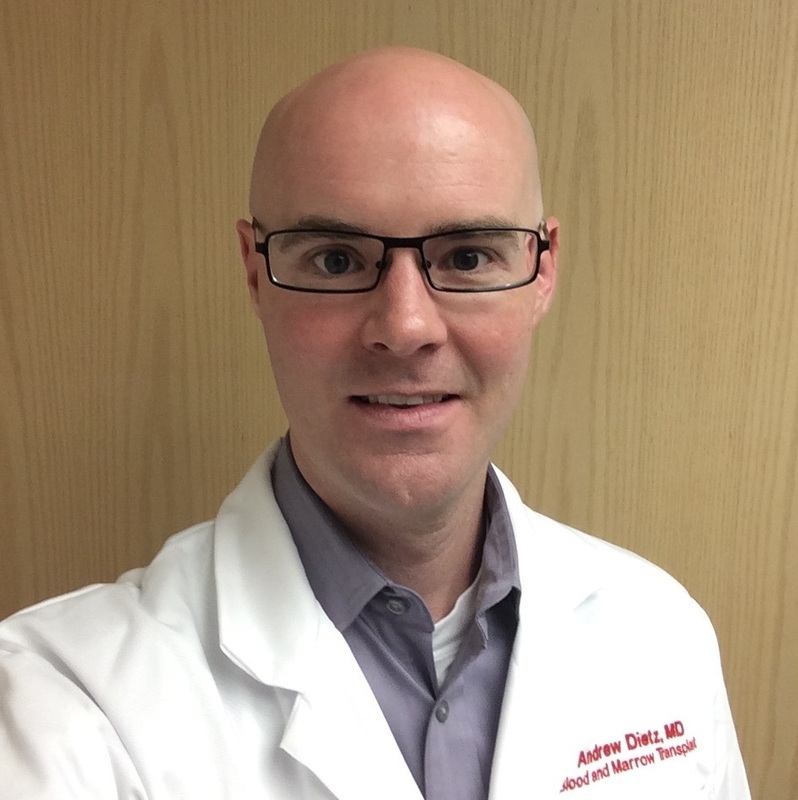 Dr. Andrew Dietz is an Assistant Professor of Pediatrics in the Division of Hematology, Oncology, and Blood & Marrow Transplantation (BMT) at Children’s Hospital Los Angeles and the University of Southern California. He attends in Pediatric Blood and Marrow Transplantation (BMT). Dr. Dietz has been active in BMT and survivorship clinical research. His interests include late effects after cancer therapy and transplantation, innovative treatment (immune and cell based) for leukemia, and reduced toxicity approaches to transplant for bone marrow failure diseases such as aplastic anemia and dyskeratosis congenita. Outside of his clinical and research practice, Dr. Dietz enjoys being in the outdoors, eating great food, and experiencing fun travel.